Ladies, this Thursday Home Depot is having another workshop. This work shop is focused on renewing and redoing the bathroom. As as a bonus, for those of us who participate in My Coke Rewards program, you will score a code for 20 points! 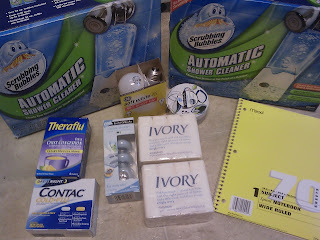 This time around I am going to be more conscious of the items I purchase couponing. My goal this year is to save while couponing to to help eliminate debt. 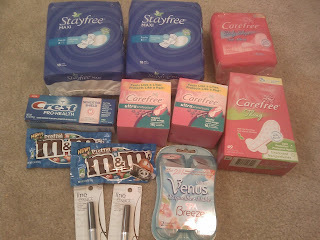 So, to get started, I first stop this year was to CVS. My stockpile has slowly withered so now its time to get back on track. Total including tax was $32.07 OOP, received $10 ECB. Finally, I paid $39.45 + tax for $92.08 worth of merchandise!!! If any of you have signed up for emails from NY & Co, they released a fabulous 3-day $50 off $100 coupon that is good for anything in the store, the coupon limited some sales but the manager assured me it was valid on ANYTHING! The coupon expires tomorrow so HURRY! 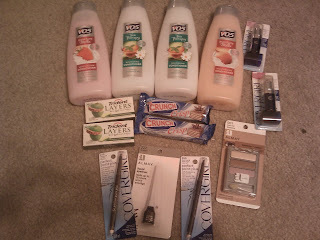 I just return home from my local mall and I grabbed so nices pieces spending $50.33 OOP plus tax and saving $137.25. I purchased 2 shirts, 3 pair of socks, 2 sweaters, 1 pair of gloves, and 2 pair of sunglasses. Having a full time career and being a full time student has consumed SO much of my time. I did not coupon for most of last year, but this year I decided to get back in tune with the savings! Hopefully I can manage my time to include couponing like I was before when I was unemployed. This is going to be a challenge but I just have to prioritize my time and not procrastinate. Total: &2.29 for 16 Powerades!!! 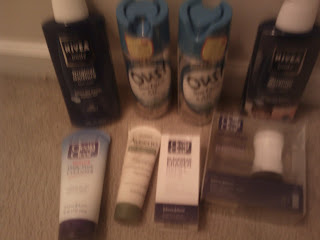 I wanted to do the Johnson & Johnson Beauty for all Ages Rebate to get the Clean & Clear items I wanted. After going to several Rite Aids last week and not finding the refills, I decided to go to CVS. I rolled $2 ECBs Saturday and then returned Sunday. This entire transaction went wrong, but I only spent $.98 more than planned so I didn't mind. I use a family recipes, but decided to change things up and try other recipes! Dinner was a hit, especially the pot roast! Instead of buying alot of items, I implement things I had on hand. Desert: Strawberry Pizza, this is the best dessert. I first made it on Dec 26. Tonight is my third time making this. My SO LOVES it!!!!!!!! I love saving $$$$...my favorite stores are Publix, Kroger, CVS and Rite Aid!